In 2018, the prevalence of video games in modern culture is undeniable. Millions of people all across the world either casually dabble, or passionately engage with video games. It’s no surprise that the industry itself has swelled to a massive billion-dollar business in 2018. Many fans have fallen in love with the incredibly varied aspects that video games have to offer, including a flourishing esports scene that has taken the world by storm. Games like Fortnite, League of Legends, and Counter Strike have engineered a revolution in how people view video games. Long past are the times where gamers are viewed as basement-dwellers. Everyone plays games now, and it is truly wonderful to see. 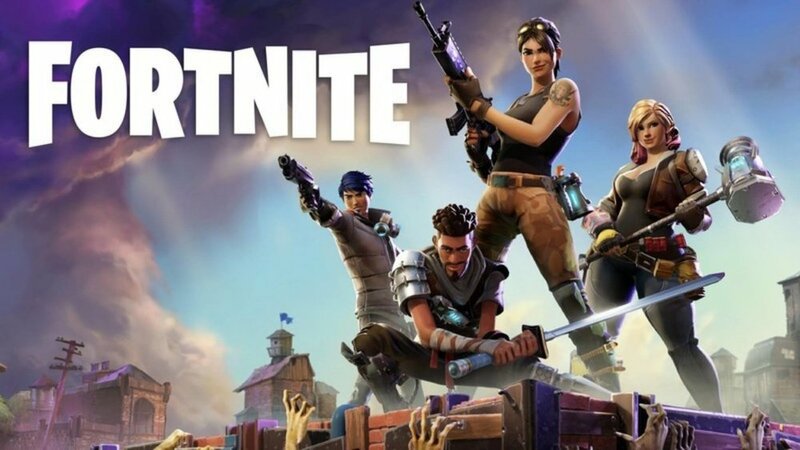 The gaming phenomenon of 2018, Fortnite hit a monstrous 78.3 million players in August. There is, however one aspect of video games that remains underappreciated by the general population as a whole, and that is recognizing video games as a medium of art. Several years ago, the idea that video games could be considered an art form was absurd. The late Roger Ebert wrote a long article in 2010 explaining that video games could never be experienced as art. He wasn’t the only one to condemn video games, as others including publications ranging from The Atlantic to The Guardian have written articles explaining why they believed that video games did not count as art forms. Their gripes deserve some consideration, ranging from the complaint that games could not qualify as artistic expression as their interactivity prevented authorial vision; to the fact that games cannot be considered art forms because you can “win” at a game. These concerns are valid. Compared to mediums like movies, paintings and music, video games are the new kid on the block. With them they bring a whole different concept of what can be considered art, and change is often difficult for people to accept. 2018 is vastly different world than 2010, especially in the terms of how video games are viewed of by the general population. Games have broken into mainstream consciousness and have intermingled with other art forms like music and movies in various ways. Famous actors like Gary Oldman and Mark Hamill have provided their voice talents to video games. Musicians amongst the likes of John Mayer, and the legendary Paul McCartney have displayed their skills in Video Games. Even so, the debate continues. While games are still “games”, they have vastly outgrown their expectations, and now more than ever deserve to be considered as forms of art. From masterful storytelling, beautiful sightlines and experiences to hauntingly beautiful pieces of music, video games have truly become works of art. One of the most important, if not the most important things that people consider when watching movies is how good the storytelling is. Movies like The Dark Knight, The Shawshank Redemption, and The Godfather are praised due to their incredible stories and script. Video games are one and the same. Many of the most praised video games throughout history have received their acclaim due to their masterful storytelling. One famous example is the Bioshock series. Starting with the original Bioshock and ending with Bioshock: Infinite, the series was so universally acclaimed that the Smithsonian Institution displayed Bioshock as the frontrunner for their exhibit dedicated to the art of video games. There is always a man, a lighthouse, and a city. Bioshock: Infinite drew to the original series in more ways than one, receiving critical acclaim and even now being cited as one of the best video games of all time. The series subverted player expectations of control, with the famous line “Would you kindly” seared into the brains of every player for years to come.Their success continued with Bioshock 2 and Bioshock: Infinite, which once again impressed millions with masterful storytelling. Stripping away the combat and side-plots in the game still leaves you with an incredible science-fiction work of art, and Infinite stands out as a shining example of how video games posess the same abillity that books, paintings, movies and music do: to tell a great story. The Bioshock series is one of many examples of excellent stories in video games. Another two games that are widely considered hallmarks of storytelling in the video game industry are The Last of Us, and Telltale’s The Walking Dead. Both of these games incorporate zombies, and a familial relationship. The Walking Dead’s final episode drew critical acclaim for it’s harsh emotional story, that drew tears from many players. 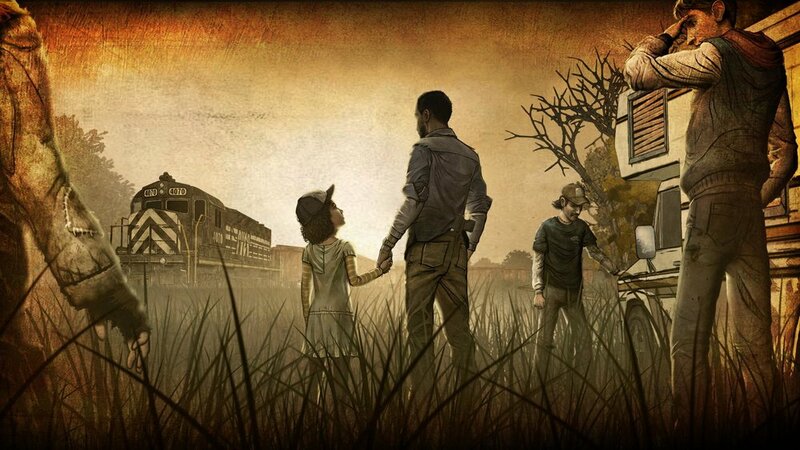 In Telltale’s The Walking Dead, Main character Lee Everett discovers and takes care of a girl named Clementine he rescues during the zombie apocalypse. Throughout the story, the player develops an attachment to both characters, much like people are attached to characters in a movie. They succeed when the characters succeed and feel the pain when their characters fail or are hurt. By the ending, players are left with a great sense of melancholy and in many cases, tears as they reach the end of their journey, not unlike viewers feel when they reach the end of a brilliant movie. Naughty Dog’s The Last of Us hits the same emotional beats that The Walking Dead does, but in very different approaches. Again, players are deeply invested with main characters Joel and Ellie. Their relationship was praised by many reviewers who appreciated the poignant and genuine growth of both of the characters. Merged with beautiful visual features and music, The Last of Us is constantly brought up as one of the greatest video games of all time, and it is well deserved. Every step the player takes, every conversation they start is one that has meaning, and the story resonates well after they player sets their controller down. While some video games miss the mark on creating compelling stories and narratives for their players, the same can be said for many movies. It is the standouts that stand as shining examples of why video games should be considered forms of artistic expression. Their incredible storytelling from reflections of human nature and cultural themes ranging from religion, choice and love deserve to be appreciated by everyone. Moving on from storytelling, there is a second aspect where video games stand to show artistic expression, and that is through graphical features. From the hyper-realistic, beautiful worlds of The Division, to ancient, fantasy worlds like The Witcher 3: Wild Hunt, or futuristic and detailed planets of Destiny 2, some video games are beautiful enough that even out of context, a picture or screenshot deserve to be shown for the world to see. All the games above have a semblance of reality attached to them, but there are beautiful games that have no semblance of normalness to them. Games like Journey or Okami may not be realistic, but they are incredibly beautiful to the point where every shot could be a piece of art, mounted on a wall. The newest instalment of the famed Assassin’s Creed franchise, Assassin’s Creed: Odyssey is a feast for the eyes. 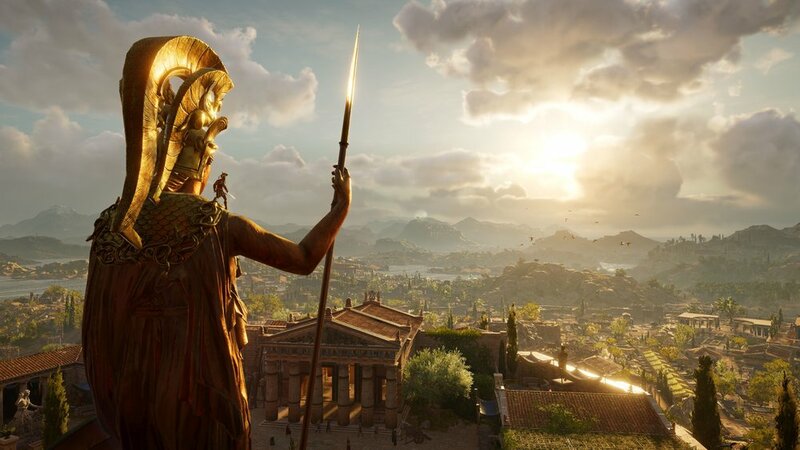 Set in 431 BCE, Odyssey takes players back into the beautiful world of ancient Greece. The sheer scope and scale of the game is incredible. The previous game, Origins had so faithfully recreated Ancient Egypt that Ubisoft, the developers released a “Discovery Tour”, an educational experience where you could roam Ancient Egypt and learn more about the culture and history of the Egyptians. Odyssey is following in its footsteps, and seeing history come to life in a living and breathing world is nothing short of breath-taking. A huge reason as to why video games should be considered works of art is due to the sheer variety and creativity in how video game developers have crafted stories and worlds. If you disregard story and action within the Assassin’s Creed series, you are still left with an incredibly vast open world that emulates the past to a frightening level of authenticity. The world lives and breathes, and every step takes the player into a stunning Grecian vista, complete with statues and lush greenery; or into the harsh Egyptian deserts, rife with mirages and dangers lurking in the darkness. Once Someone can pick up the controller and be transported thousands of years into the past, into a world that interacts and teaches them about ancient history and culture in a way that has never been done before. That is art. 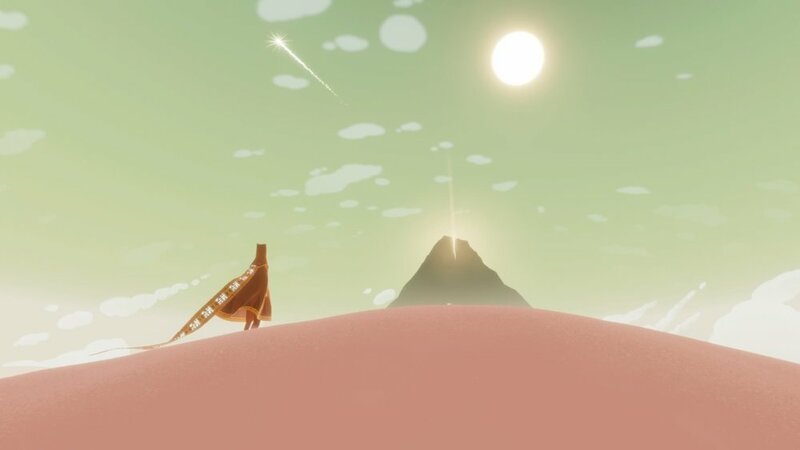 One of the various beautiful screenshots from Journey. Okami is another brilliant example of video games emulating and becoming art all in themselves. Every image pulled from the game looks as though it was come from a calligraphers deft touches. The game was lauded for its incredible beauty and creativity, and it’s truly a one of a kind game due to the unique artstyle. With every frame, every screenshot looking like eastern calligraphy, Okami speaks for itself. It has become an industry norm in gaming to continue pushing the boundaries of technology, to continue to innovate and wow players with just what is possible with our current generation systems. Making games appeal to their audience, allowing them to feel amazed, and overwhelmed sometimes at the beauty of their world has and will always be an aim for game studios, and isn’t that what art is? To appeal to an audience, to encourage emotion and stir up the senses long hidden? The third and final aspect of a brilliant game ties into yet another form of art: music. Games have long used soundtracks in order to enhance the playing experience, utillizing the same method that movies use in order to evoke emotional responses with their watchers/players. However, many people laud and praise the beauty of standalone music or movie soudntracks, while ignoring some incredibly beautiful pieces of music that have come as a result of video games. Some composers make their mark on video games, giving them an original sound and theme that has become so resonant with gamers that even a short few seconds of a specific noise or sound brings back a flood of memory and emotion. It is impossible to talk about brilliant music in gaming without considering the juggernaut that was the original Halo series. Headed by Martin O’Donnell, the soundtrack of the Halo series is one of the most famous soundtracks in history. Ranging from orchestral tones in the original Halo, to soft saxophone and guitar in Halo 3:ODST, taking a few seconds to listen to any of the Halo score is enough to convince many a people of the emotive power of music. Anybody who has played the Halo series perks up the moment the slow orchestral chants of the original series are heard. It motivates, strengthens and scares all at once, and is beautiful all on its own. The Halo series deserves recognition as a form of art. If it wasn’t recognized for it’s stellar narrative, and groundbreaking graphics, the music and amazing composition of Martin O’Donnell and Bungie Studios deserve recognition on a much, much larger scale. Other titles talked about like the Assassin’s Creed series and Journey have incredible music scores as well, but another popular title that wasn’t mentioned and has a beautiful music score, one that fits right in with fantasy movie soundtracks is The Witcher 3: Wild Hunt. Composed by Polish artists Marcin Przybyłowicz and Mikolai Stroinski, the soundtrack conjures up images of a fantastical, epic story, which The Witcher 3 exemplifies. The music incorporated both themes of vikings as well as polish orchestral music, creating a soundtrack that became an integral portion of an already incredible game. The range of the soundtrack itself is testament to why the soundtrack in video games should be considered an art form all in itself. It ranges from very soft gaelic music, one that evokes senses and emotions of calm and peacefulness, to harsh european tones that energize anyone who listens. Within the game itself is a song, The Wolven Storm, that is wonderfully sung and exemplifies the talent of CD Projekt Red’s music studio. Hauntingly beautiful, The Wolven Storm shows that video games can transcend normal boundaries to become art. Many video games produce incredible pieces of music that never see the general population. This is truly a shame as all pieces of music deserve recognition. For example, League of Legends tends to rotate various pieces of music for their login screens. While some of these music scores are available to see online, a large portion of that music is lost. 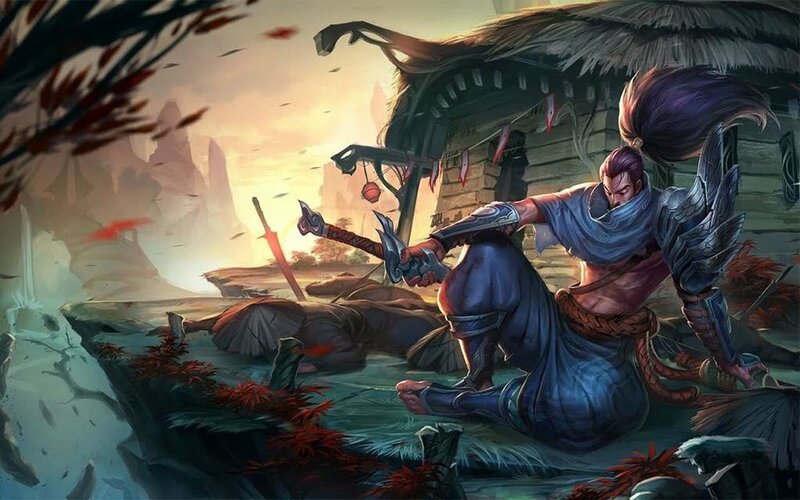 The variety of songs that League of Legends includes in its login screens is absolutely staggering. From futuristic themes, to beautiful eastern orchestrals, to harsh industrial tones, they have it all. For a game that doesn’t incorporate their music into the actual game itself, their musical scores are truly works of art, and that is undeniable. Video Games have broken into mainstream consciousness for several years now. The impact that they have had on human culture is undeniable. The future however remains quite unknown. Video games continue to push the boundaries of creativity in various ways, but some people may never accept the value of video games as forms of artistic expression. In a way, it doesn’t really matter. While it would certainly be great if more of the general population could see and appreciate video games for their beauty, changes like this take time. For now, it seems appropriate to stand back, and enjoy the show. Do you see video games as art, why or why not? Let us know in the comments below.